I First sighted this cute little fellow about 2 months ago at the Pine Creek Water gardens, (after being notified of its presence by a friend). I stopped by just to see how well he had settled in. Low and behold, tucked away secretly under a golden cane in pond number 3, he sat. 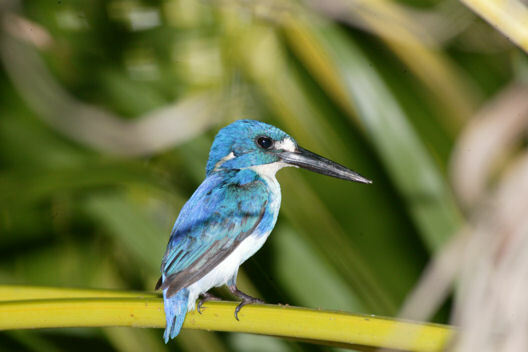 Little Kingfishers are easily found on wetlands like Yellow Water in Kakadu or Fogg Dam or on the tidal mangrove reaches of the Adelaide River. On 2 previous occasions I have observed them pushing the boundary on the Katherine/Daly River system - well inland from their normal observation range. I am guessing that he will be there for some time and hopefully there is another close by, for some nesting activity.